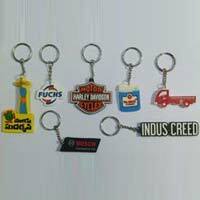 Packaging Details : Can be packed in Gift Box at Extra cost or else normal packing to complete set in corrugated White Box. 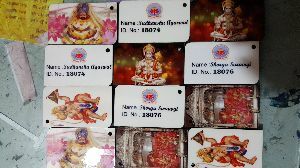 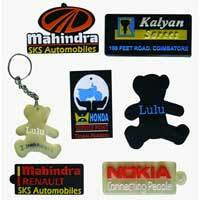 We have facility to get it packed in Header Card with Branding. 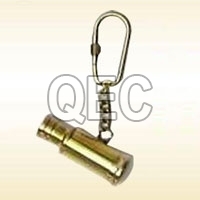 Lead Time : As per quantity. 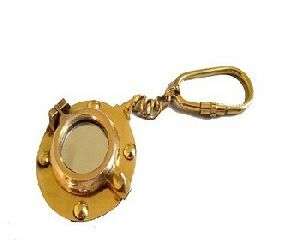 This sextant key chain is made of polished brass. 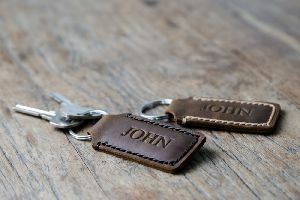 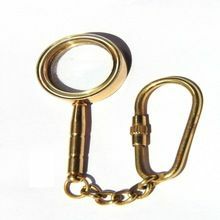 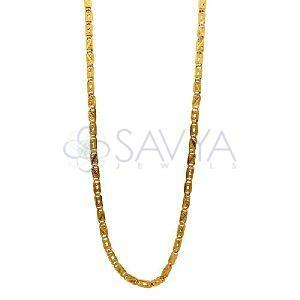 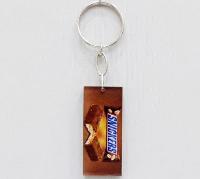 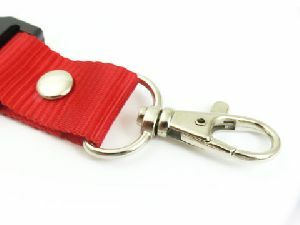 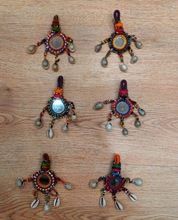 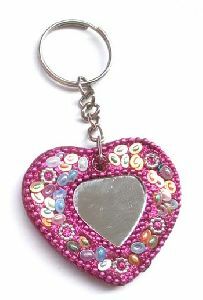 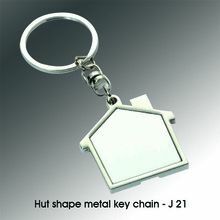 This key chain is beautiful crafted from solid brass, key chain a beautiful shine and features a round split key ring. 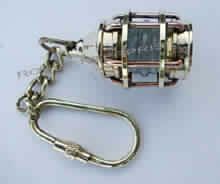 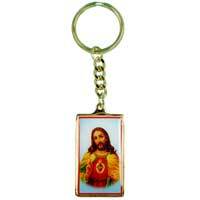 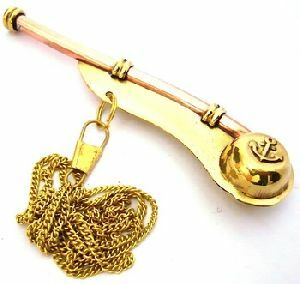 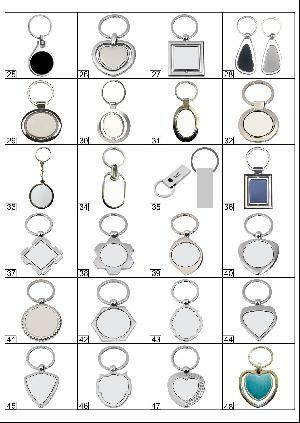 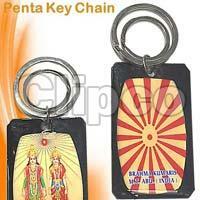 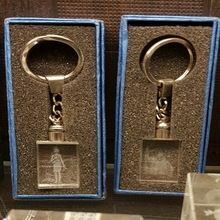 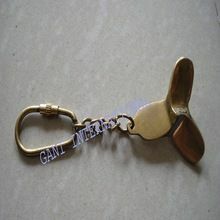 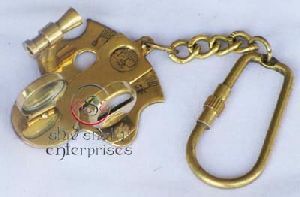 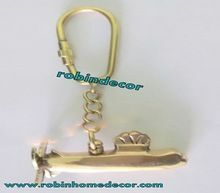 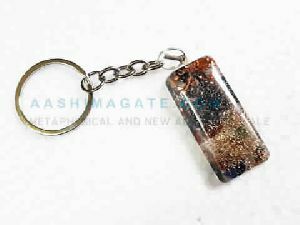 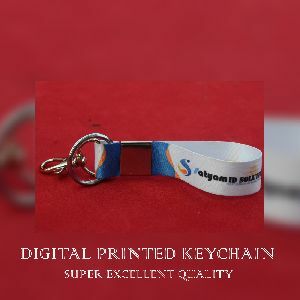 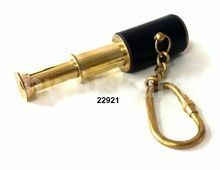 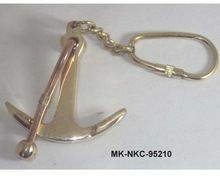 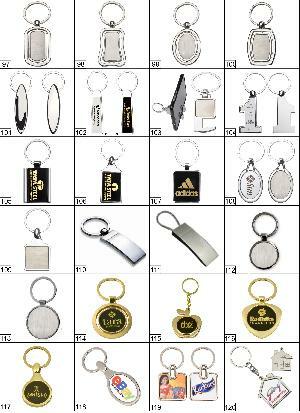 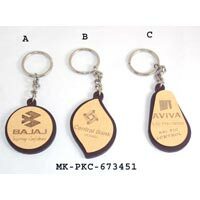 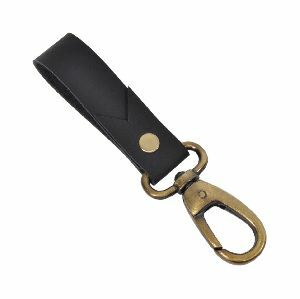 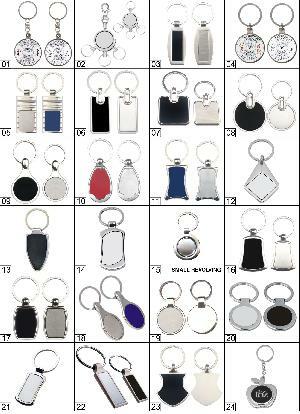 We manufacture nautical key chain such as brass sextant key chain. 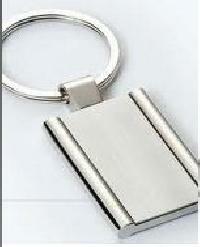 Tips : Wipe clean with damp cloth. 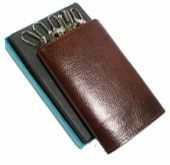 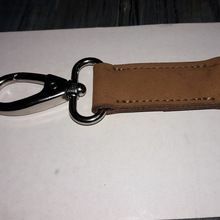 A black colour natural grain leather key chain with 6 metal ring, tri-fold, key case, can hold 6 keys, magnetic button for closure.